Rummy has played a vital role in Indian gaming industry. Therefore when it comes to online gaming the first thing that comes to our mind is online rummy. The reason for the sudden bloom in the online rummy industry is the values the rummy companies are built upon. Even though playing with cash, most of the companies have never got any complaints from any players regarding forgery or fraud. The second reason for the success of these rummy websites is the entertainment itself. Online rummy is entertaining Indian audiences for more than 10 years now. The reason is the online rummy promotions and bonuses that players can avail from these websites. We will be discussing some of the online rummy promotions here and why they are must for the existence of the site itself. Festival Rummy Promotions: This famous rummy promotion that comes almost every month promises the rummy player with huge benefits. At festivals like Diwali, Buddha Poornima, Akshaya Trithiya etc. most websites give their players with promotions that are worth lakhs. 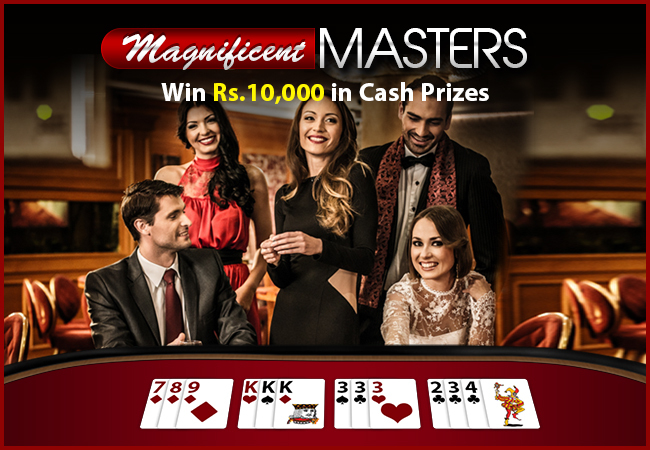 Some rummy promotions make the player to participate in the tournament and win to claim the rewards. Rummy Leaderboard Promotions: If a player wants to win this rummy promotion, he/she will have to be on the top of the leaderboards. In order to reach that spot, a rummy player has to play more and more online cash rummy games. If he reaches the top spot, he will get the promised amount as announced by the rummy website. Other Random Rummy Promotions: The other random rummy promotions include Slots, Crystal Ball etc. But in order to win in these games also, a player has to win cash games to get tickets to these promotions. If you got any rummy promotions in mind that we might have missed out, let us know by commenting below. Also, don’t forget to mention your favorite promotions and the one from which you one maximum benefits from.